If that was as far as I ever got, I'd be a happy reader. 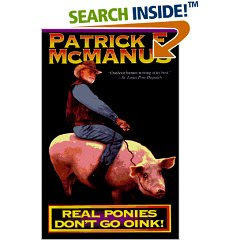 Real Ponies Don't Go Oink! didn't disappoint. It's typical McManus which I've talked about before (if you've been around to see). Do any of you out there have a formula for success when it comes to what you must read each year? I'd be curious to hear!